Dylan and I connected when I reached out to NOMIN (National Organization of Men In Nutrition) to increase male representation in this series; he was excited to share the unique and non-traditional work that he is part of as well. The team included here is six nutrition professionals who have unique roles in dietetics working at Ketchum, a communications consultancy. Their various backgrounds and career paths make them a strong, skilled and passionate team that has a lot to offer their clients. Three of us started working in public relations and then went back to school to become RDs! Alison joined Ketchum as an intern 17+ years ago and realized she had a passion for nutrition while working as a media specialist on food accounts. She met Amber, who also started in food PR, during their dietetic internship and recruited her to Ketchum after they finished the program. Lisa decided to pursue her RD after almost a decade in PR working with food and fitness clients. Her tipping point was losing a new business pitch for one of her favorite products because the agency she was with at the time didn’t have an RD! Jaime and Catherine both developed a love for nutrition in college and knew they wanted non-traditional career paths, first starting out in-house at a food company and a supermarket, respectively. Dylan joined Ketchum after completing a Master of Science in Nutrition and he just recently started a part-time, distance dietetic internship program so that he has even more credibility as a nutrition communications professional. We are communication professionals driven by science who understand the business of nutrition. We speak the languages of both research and marketing and are the bridge to responsibly and effectively communicate science. We provide strategic nutrition communications and reputation management counsel on topics across the food, ingredient, retail (CPG - Consumer Packaged Goods) and agriculture sectors, with an eye towards helping our clients to break through in a cluttered and constantly evolving media landscape and navigate the nutrition community ecosystem. 1) Monitoring- we keep an ear to the ground to see what new research is being published or what articles are being written that would be of interest to our clients, and make recommendations to either proactively leverage (for something positive) or reactively contain (for something negative). 2) Relationship-building- one of the key ways our team is most valuable to our colleagues and clients is through our relationships with members of the media, with other healthcare professionals, with researchers, etc. We help connect our clients with these gatekeepers of public opinion about food and nutrition. 3) Planning- whether prepping for a big media announcement we are supporting, an event, educational trip or experiential activity we are coordinating, or making recommendations for the whole year ahead, much of our time is spent on planning. 4) Executing- when the big media announcement, event, educational trip or experiential activity we’ve been planning for is actually happening! We manage all of the logistics, trouble-shoot in real time, measure our impact (measurement is key!) and report back to our clients. 5) Account Management- this includes managing financials, client calls, internal meetings, identifying what team members will support what projects and any other tasks that help keep the client work running smoothly. 6) New Business- the official process usually begins when a company issues a Request for Proposal (RFP) or Request for Information (RFI) to multiple agencies and ends with an in-person “pitch,” after which the company decides which agency they want to hire. The unofficial process is ongoing and relationship building is key. 7) Thought Leadership – we keep our teams and our clients updated on what’s happening in the nutrition world, share best practices for nutrition communications, attend conferences and events for trendspotting and relationship-building and identify external visibility opportunities for our team’s expertise. We all took different paths to get here and there isn’t any specific coursework or special training that could have prepared us for a career as nutrition experts at a communications consultancy. But there are some common traits we share that have drawn us to this niche. We all thrive in a fast-paced setting. We understand the importance of stellar client service. We love bringing innovative, data-driven recommendations to our clients. We find inspiration in our colleagues with a completely different expertise than us – like digital marketing, predictive analytics, graphic design – and love working side-by-side with them. We find satisfaction in knowing that our nutrition knowledge and insight into the food world could result in a break through idea for a client. While we always wear two hats, we are nutrition experts first. 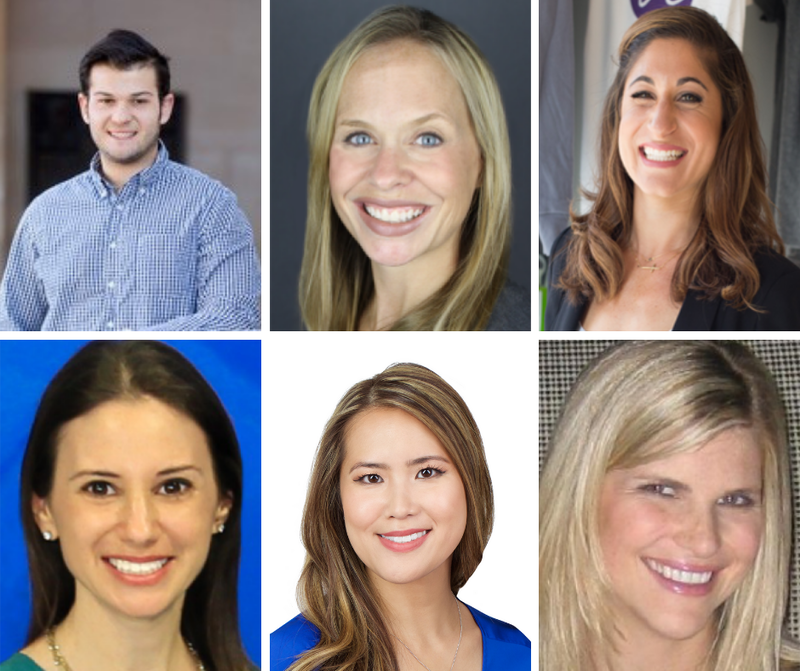 We are proud that Ketchum is the only firm with registered dietitians – Alison and Jaime – who have been named to PR Week’s 40 Under 40. The Ketchum RDs straddle two industries but both dietetics and communications face a similar challenge – a lack of diversity. In stark contrast to the shifting demographic of the U.S., only 9% of dietitians and nutrition and dietetics technicians identify as non-white. The people who steer others towards optimal health should better reflect the community they serve. While 5 years is a short time to make a meaningful shift to diversify the field, we are committed to do our part by diversifying the faces and voices of nutrition experts we work with on behalf of clients and encouraging others in nutrition communications to make this same commitment. As a first step in leading this conversation, we are partnering with Diversify Dietetics, a non-profit community formed to attract, encourage and empower students and young professionals of color who were seeking careers in the field of nutrition and dietetics, to host a panel discussion on this topic at FNCE. If you’re interested in attending or for a recap of the panel discussion, email the team at borderlessnutrition@ketchum.com.